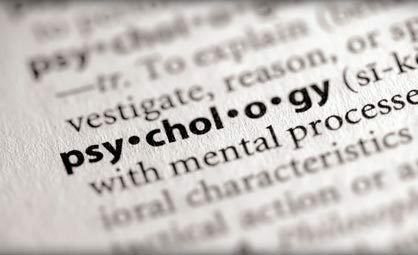 Psychotherapy is not easily described in general statements. It varies depending on the personalities of the therapist, patient and the particular concerns being addressed. There are many different methods used in the process of therapy. Psychotherapy is not like a medical doctor visit. Instead, it calls for a very active effort on your part. In order for the therapy to be most successful, you will have to work on things we talk about both during our sessions and at home. Psychotherapy can have benefits and risks. Since therapy often involves discussing unpleasant aspects of your life, you may experience uncomfortable feelings like sadness, guilt, anger, frustration, loneliness and helplessness. On the other hand, psychotherapy has also been shown to have benefits for people who go through it. Therapy often leads to better relationships, solutions to specific problems, and significant reductions in feeling of distress. But there are no guarantees of what you will experience. The first few sessions will involve an evaluation of your needs. during this time, we can both decide whether I am the best person to provide the services you need in order to meet your treatment goals. By the end of the evaluation, you will be given some first impressions of what our work will include & treatment goals if you decide to continue with therapy. You should evaluate this information along with your own opinions of whether you feel comfortable working with me. Therapy involves a large commitment of time, money, and energy, so you should be very careful about the therapist you select. If you have questions about our procedures, we should discuss them whenever they arise. If doubts persist, we will be happy to refer you to another mental health professional. We provided individual, couples & family counseling. We will work together through a wide range of emotional and behavioral issues providing support that span from therapy for addiction to depression, trauma counseling & beyond. In a comfortable and supportive atmosphere, we offer a highly personalized approach focused on your needs to help attain the personal growth your striving for. Cognitive Behavioral Therapy helps you change some of your core beliefs & automatic thoughts about yourself, the world & the future. Your current core beliefs may feed negative emotions & behaviors. Cognitive behavior therapy can also include relaxation techniques & skills training. Problem-solving Therapy is a type of Cognitive Behavioral Therapy that teaches you to problem-solve as a coping skills. This skill can increase confidence & a sense of self-control. Dialectical Behavioral Therapy teaches new coping skills & increased self-awareness to help you better handle emotional distress. We may also recommend other complementary alternatives to assist you. Please see "Health & Wellness" page.